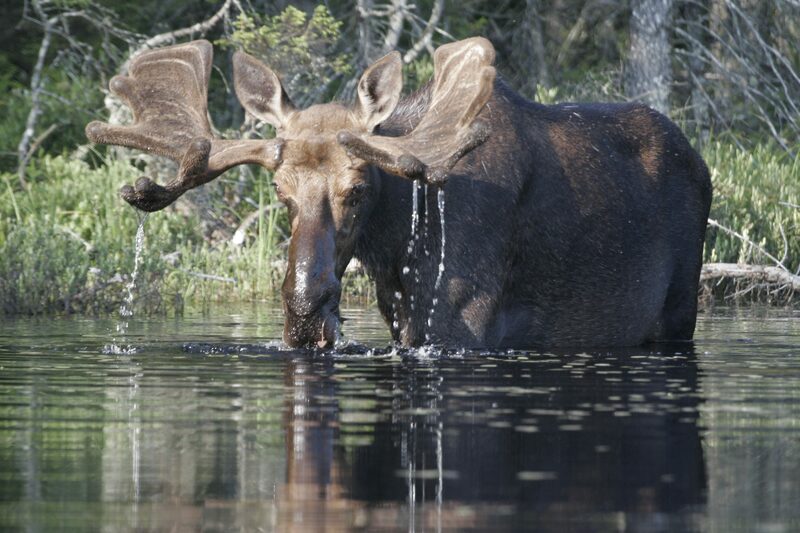 The 5th Annual Great Adirondack Moose Festival will be held in Indian Lake this weekend, September 27 and 28, 2014. The Moose Festival features programs, games, contests, exhibitions, guided tours and hikes and shopping. The half-ton Moose is making a come-back in the Adirondacks, and this weekend is an excellent opportunity to spot one. Most festival activities are free and do not require advance registration. The Moose Calling Contest continues to be one of the Festival favorites and will be held with fun and sometimes bizarre and authentic hooting and hollering moose calls from adult and children contestants. Naturalist and author Ed Kanze will return as the contest master of ceremony and one of the official judges. The contest will be limited to two categories; adult and children, and will be held at the Indian Lake Theater. Pre-registration is encouraged. It’s a gloomy Saturday morning with rain in the forecast, but we’re determined to see OK Slip Falls. When we sign the register, we learn we are not alone: four other parties have preceded us on the trail to the tallest waterfall in the Adirondacks. Added to the Forest Preserve last year, OK Slip Falls has become a popular destination since the state Department of Environmental Conservation opened a trail this year. Long owned by Finch, Pruyn & Company, the waterfall had been closed to the public for a century before the state bought it from the Adirondack Nature Conservancy. As a result of the acquisition, the falls and other state lands in the vicinity are part of the recently created Hudson Gorge Wilderness. The hike to the falls is fairly easy: a three-mile walk through a handsome forest, with hardly any elevation gain, leads to an overlook with a spectacular view of the 250-foot cascade. 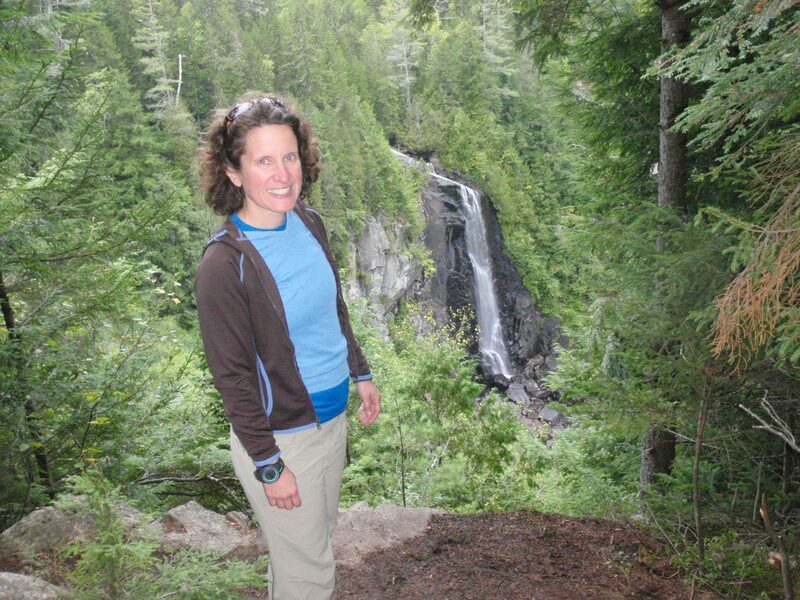 Those seeking a harder challenge can extend the outing by hiking a mile or so from the falls to the Hudson River, a side trip that will require a steep climb on the return. 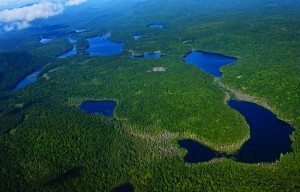 The Adirondacks, with its vast expanses of wilderness forests, abundant stretches of pristine wetlands, waterways and rugged mountain terrain, serves as home to many forms of wildlife. While all of these creatures have uniquely appealing traits and exhibit their own brand of personal charm, few possess the backwoods’ magic and allure of the moose. Part of this beast’s popularity lies in its massive size, which can range from several hundred pounds for a juvenile to 700 and 800 pounds for a healthy adult. The moose also wins affection with its unusually lanky body features, long snout, and awkward gait. In an attempt to spotlight and honor New York State’s largest wildlife resident, the Indian Lake Chamber of Commerce in the Central Adirondacks, will be holding a celebration, The Great Adirondack Moose Festival, (GAMF) the weekend of September 27 and 28. » Continue Reading. Increased opportunities for outdoor recreation in the Adirondacks would be available under two proposed plans released today for public review and comment, the New York State Department of Environmental Conservation (DEC) has announced. 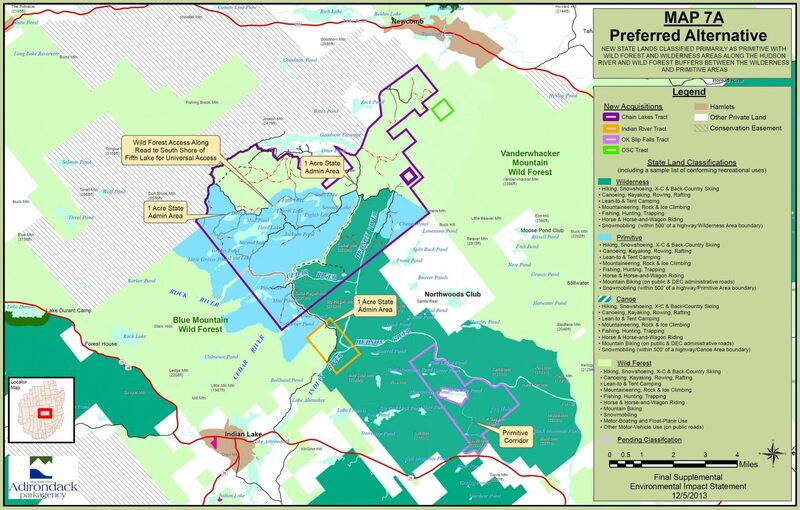 Comments will be accepted on the Essex Chain Lakes Management Complex Draft Unit Management Plan (Draft UMP) and a Draft Community Connector Multiple-Use Trail Plan (Draft Trail Plan) through July 18. 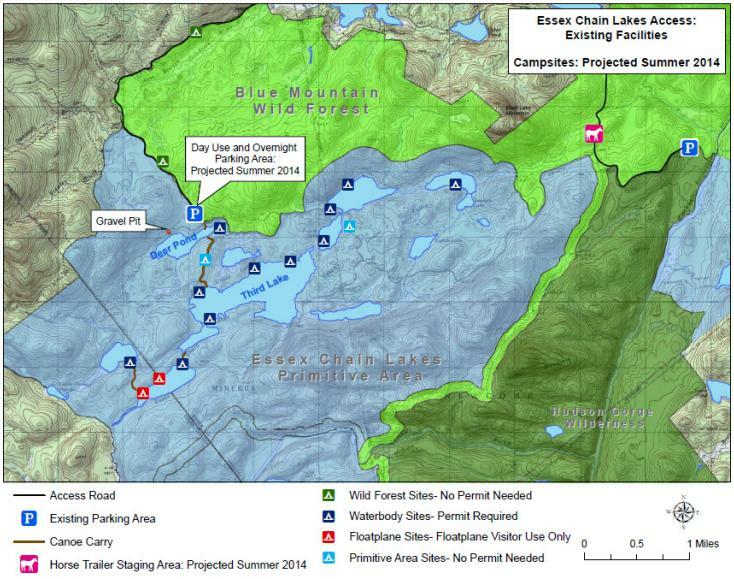 The Essex Chain Lakes Management Complex includes the 6,956-acre Essex Chain Primitive Area, the 2,788-acre Pine Lake Primitive Area and a portion of the 42,537-acre Blue Mountain Wild Forest. These lands are located in the Town of Indian Lake in Hamilton County, and towns of Newcomb and Minerva in Essex County. » Continue Reading. 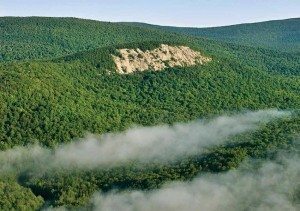 I recently got my first close look at the cliffs on Sugarloaf Mountain near Indian Lake, which are now open to rock climbers as a result of the state’s latest acquisition of former Finch, Pruyn lands. The second edition of Adirondack Rock—due out later this year—lists eighteen routes that were put in over the years (presumably without the landowner’s knowledge), but there is potential for many more. The climbing portion of the cliff is 450 feet high and more than a quarter-mile wide. Last Thursday, I visited Sugarloaf with Will Roth, an EMS climbing guide and instructor in North Country Community College’s outdoor-recreation program. Will had his eye on Heroes, a 400-foot route on the right end of the cliff. The guidebook gives it three stars out of five for the overall quality of the climbing. Heroes is rated 5.8 on the Yosemite Decimal System scale of difficulty. Thus, it’s considered a moderate route—easy for Will, difficult for me. 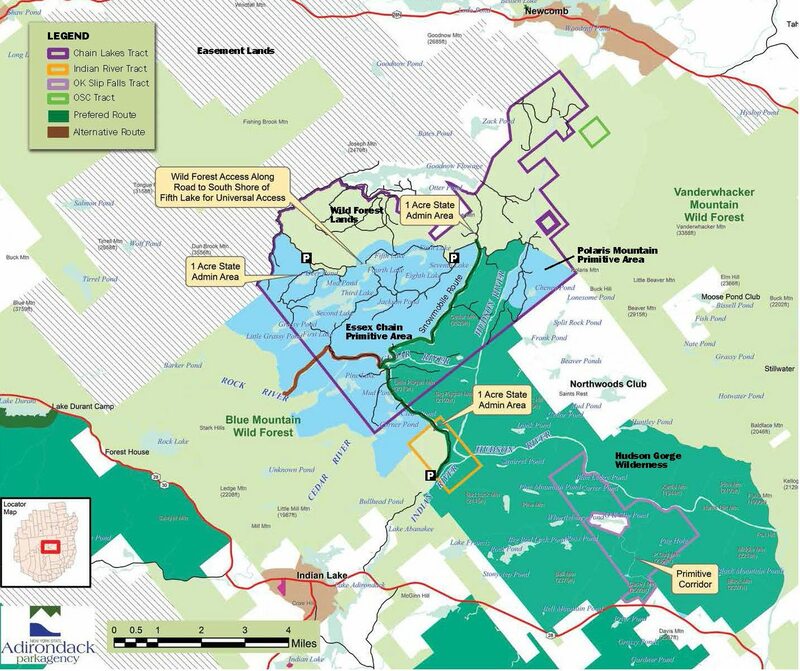 The state has completed another purchase of former Finch, Pruyn timberlands, totaling 8,500 acres, and though the deal is not as momentous as previous Finch deals, bigger things are on the horizon. 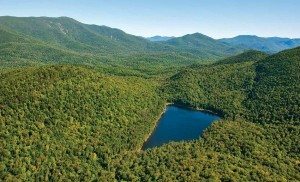 By year’s end, the state intends to purchase two large tracts of former Finch lands that border the High Peaks Wilderness, according to the state Department of Environmental Conservation. Known as McIntyre East and McIntyre West, the tracts encompass nearly twelve thousand acres near the Upper Works trailhead in the town of Newcomb. » Continue Reading. Two years ago, when Governor Andrew Cuomo revived the massive Finch, Pruyn land deal, first engineered by the Adirondack Nature Conservancy in 2007, he shifted the terms of a long-running debate over big land-conservation projects in the Park. Funding for open-space conservation had been under attack in Albany for years, including a moratorium on new spending. Even many Democrats were questioning the value to taxpayers of protecting more “forever wild” land in the Park. The governor turned that debate on its head, arguing that vast tracts of new public lands would be a boon to the state’s tourism economy—rather than a costly burden—and would give struggling Adirondack towns a long-needed boost. 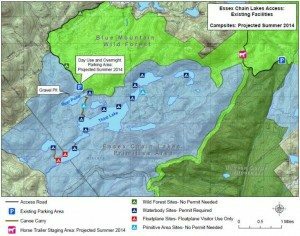 “Today’s agreement will make the Adirondack Park one of the most sought-after destinations for paddlers, hikers, hunters, sportspeople, and snowmobilers,” Cuomo declared in August 2012 as he committed the state to spending $47 million on sixty-nine thousand acres of timberlands over five years. Cuomo pointed to “extraordinary new outdoor recreational opportunities” that he asserted would spark investment and help revitalize the tourism economy in struggling mountain towns. » Continue Reading. 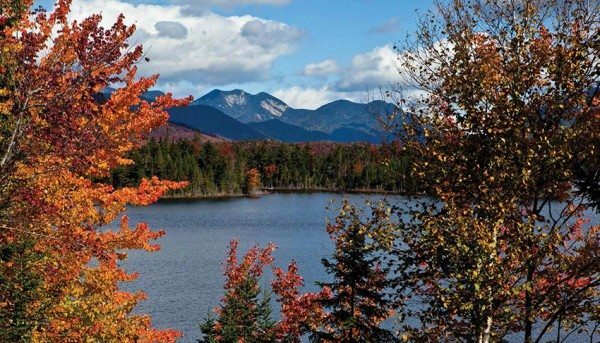 The Adirondack Region of New York State is known for not only for its scenic beauty, but also for the strength and stubbornness of its people. This is especially true of its women. 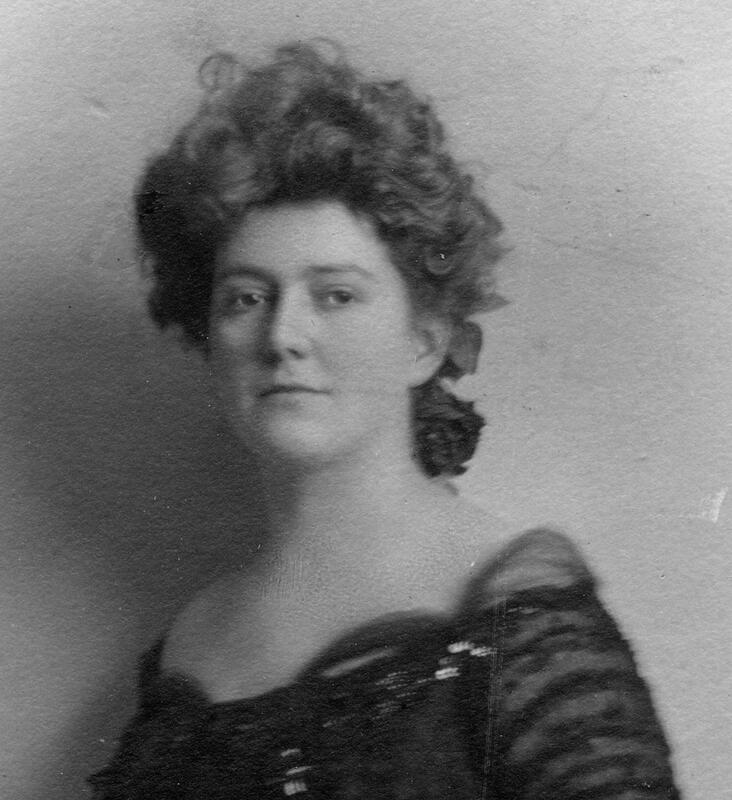 The early years of its history featured women who were particularly strong and resilient. Phebe Cary was not only a woman, she was a full-blooded Abenaki. The story goes that at age 13 she was sold off by her father to William Dalaba. It is unclear if she was sold off by her father or whether William just paid her father a dowry. What is clear is that after William left money with her father, she was sent off – against her will – with a new husband to the 1857 wilderness of Bakers Mills, N.Y. » Continue Reading. 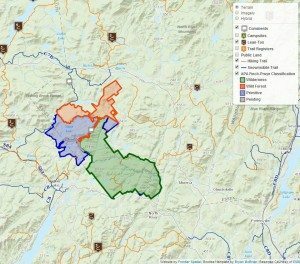 There’s been a lot of conversation and controversy about the Adirondack Park Agency’s recent classification of new state lands in Newcomb, Indian Lake, and Minerva. 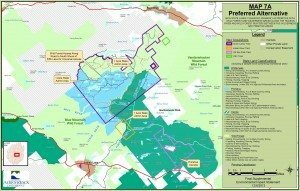 I thought people might want to have a closer look for themselves, so I created an interactive web map showing the new land acquisition and classification scheme. If you’d like to see the aerial imagery for the area, click on the ‘Imagery’ toggle located under ‘Basemaps’ on the sidebar. 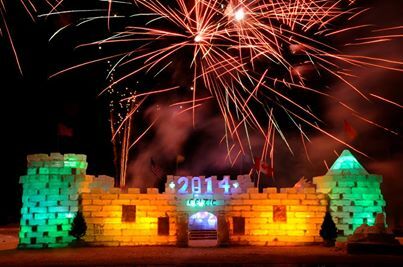 The 29th Indian Lake Winter Fest, being held February 14 to 23, will be expanded this year with the addition of SnoCade, a celebration of snowmobiling in the Adirondacks. Centered in Indian Lake, but also including the hamlets of Blue Mountain Lake and Sabael, the Indian Lake Winter Fest includes a parade, followed by indoor and outdoor activities such as a two-day Winter Wonderland Craft Show, Firemen’s Breakfast, torchlight skiing, snowshoe softball, snow horseshoes, and snowshoe hikes, along with fun indoor events and fireworks. The Indian Lake Library will expand its normal activities to include children crafts; the Department of Environmental Conservation (along with the Indian Lake Volunteer Ambulance Corps and Fire Department) will have a demonstration of ice rescue; there will be snowmobile radar speed timing; stand-up comedy and live music at the Theatre; and a kid’s hill climb. » Continue Reading. 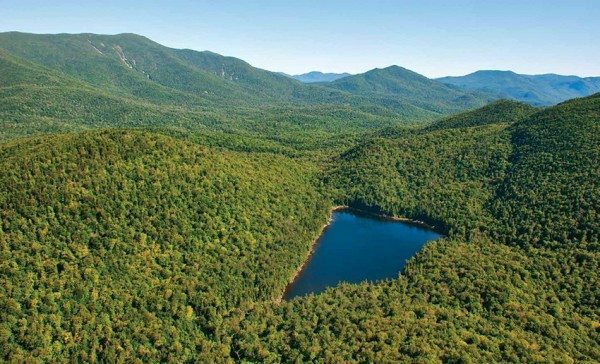 New York Governor Andrew Cuomo has approved the State Land Classifications for 42,000 acres recently added to the State Forest Preserve in the Adirondack Park. The classification of the properties, formerly owned by Finch Pruyn & Company, was endorsed by the Adirondack Park Agency on December 13, 2013 as the preferred alternative. The plan will allow recreation access to the newly acquired lands for people of all abilities for a wide variety of uses including hiking, paddling, cross country skiing, hunting, fishing, mountain biking, horse riding and snowmobiling. » Continue Reading. Though my family and I have not attended the entire top ten winter carnival venues touted in National Geographic Traveler, I can say we have attended all the winter carnivals in the Adirondack Park listed below. Each festival holds its own special charm and each celebration is an opportunity to enjoy those unique corners of the Adirondack Park. Saranac Lake may place second on the National Geographic Traveler’s list, but it tops the list for East Coast winter carnival fun. First held in 1897, the Saranac Lake’s winter carnival has a convoluted history. With over a century of experience to draw from, it has grown into a ten-day festival of sports, races, parades, live performances and fireworks. » Continue Reading. 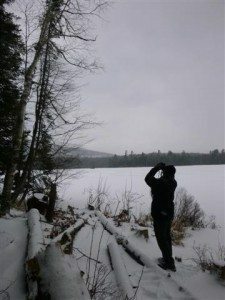 On a frigid morning in late December, I teamed up with a good friend and hiked the Lake Durant campground in Indian Lake in search of aliens. We were not on the lookout for little green martians, but invasive insects. I met Tom Colarusso of the United States Department of Agriculture’s Animal and Plant Health Inspection Service in the campground parking lot. It was a windy day and the vehicle swayed a little as I dug around the back seat in search of my hat and gloves. I was armed with a GPS system to document coordinates in case something suspicious was found, and tucked a pen and pad into my pocket for notes. Tom looped a pair of binoculars around his neck and then we were off. 2013 marked our fifth year of teaming up to survey Hamilton County’s forested areas for alien invaders like Asian longhorned beetle and emerald ash borer. » Continue Reading. 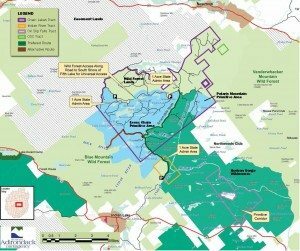 After months of public debate and behind-the-scenes negotiations, the Adirondack Park Agency voted in December to prohibit motorized recreation on most of the former Finch, Pruyn timberlands the state purchased from the Nature Conservancy a year ago. The unanimous decision will create a 23,494-acre Hudson Gorge Wilderness and ensure that the quiet of the remote Essex Chain Lakes will not be disturbed by motorboats. Under the APA plan, the lakes will be the centerpiece of a 9,940-acre Essex Chain Primitive Area. » Continue Reading. The Adirondack Park Agency voted unanimously today to approve a staff recommendation to create a 23,494-acre Hudson Gorge Wilderness Area and a 9,940-acre Essex Chain Primitive Area on lands once owned by the Finch, Pruyn paper company. The vote climaxed a year of work that included public hearings, which elicited thousands of comments, and negotiations between state officials and various stakeholders. Underscoring the importance of the decision was that Basil Seggos, Governor Andrew Cuomo’s deputy secretary for the environment, drove up from Albany to attend the APA’s meeting.